For the original article in Portuguese by Maria Luisa Barros published in O Dia click here. The average temperature will rise one degree Celsius by 2020. Heat waves and floods will cause more diseases. This summer is set to be Rio’s hottest in years. And this is only the beginning. Thermometers in the state capital will show an average temperature increase of one degree Celsius over the next five years, according to a global warning released on October 13 by the Urban Climate Change Research Network, which brings together 600 scientists from 150 different cities. Over the same period, sea levels will increase by up to 14cm in the region, one centimeter more than in Buenos Aires, Argentina, and Lima, Peru. The climate scenario projected for the city of Rio is the worst in Latin America. The climate predictions will directly affect the health of Rio de Janeiro residents. The principal risk is the spread of respiratory and cardiovascular diseases, gastroenteritis and other infectious diseases such as dengue and leptospirosis. This conclusion was reached by the Oswaldo Cruz Foundation (known as Fiocruz, one of the world’s main public health research institutions), which is spearheading the first Latin American nucleus of the Urban Climate Change Network, alongside COPPE, a postgraduate engineering department of the Federal University of Rio de Janeiro. “Many diseases can be aggravated by climate. The city needs to be prepared to face these changes, which primarily affect the lower income population,” stated Martha Barata, Fiocruz researcher, emphasizing that climate issues needs to be taken into account in urban planning. 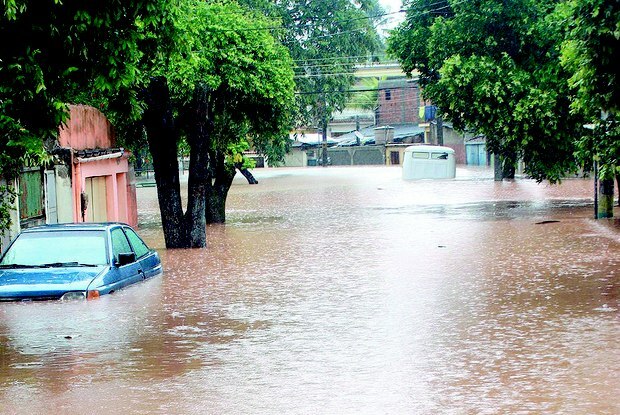 “We cannot continue to build houses and factories in areas which face a high risk of flooding in the future,” she said. Those most vulnerable to heat are the elderly and infants, whose organs are less able to adapt and defend themselves. 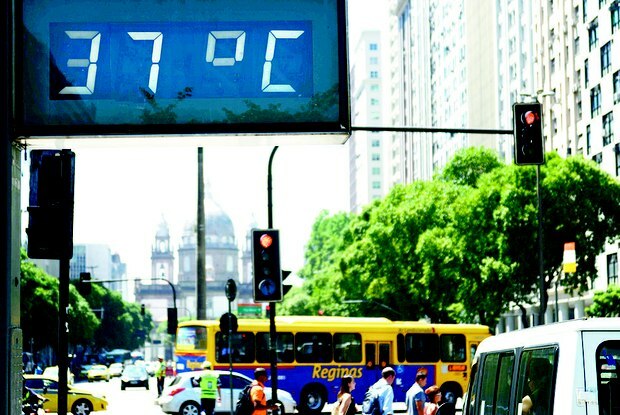 The projections show that, by 2080, temperatures in Rio will increase by 3.4 degrees, the same increase predicted for the city of Cubatão in the state of São Paulo. The sea level is set to rise by between 37cm and 82cm over the next 65 years. The research calls attention to problems that affect the day to day lives of people living in metropolitan areas, such as urban heat islands—neighborhoods with higher than average temperatures, such as Bangu in Rio—water shortages and floods in coastal areas. The situation in Rio is worsened by disorganized hillside house building and by the lack of basic sanitation in low-income communities. The researcher recommended that governments adopt public policies to avoid tragedies caused by environmental catastrophes. “As well as this, society as a whole has to assume its share of the responsibility. Blame cannot be placed solely on the government. Public transport needs to be prioritized and deforestation must not be exacerbated,” said Martha Barata. Of the 92 municipalities in Rio de Janeiro State, the city of Rio de Janeiro is the most vulnerable to the climatic changes predicted over the course of the next three decades. This warning is part of the Vulnerability Map for the Population of the Municipalities of Rio de Janeiro State, completed by the Oswaldo Cruz Foundation. Among the dangers that threaten Rio de Janeiro, the capital city in Rio de Janeiro state, are a local greenhouse effect and flooding made worse by an increase in sea level. On a scale from 0 to 1, the city of Rio is rated as 1, due to its vulnerability in the area of health and environment. The vulnerability index rates municipalities according to the level of attention that will have to be given in the face of predicted climate changes. The closer to 1 on the index, the larger the chance of a city being affected. According to the study, the cities of Angra dos Reis and Paraty, on Rio’s Green Coast, and Teresópolis and Petrópolis, in a mountainous region of the state known as the “Região Serrana,” are all at high environmental risk. This article was written by Maria Luisa Barros, and published on October 28, 2015.